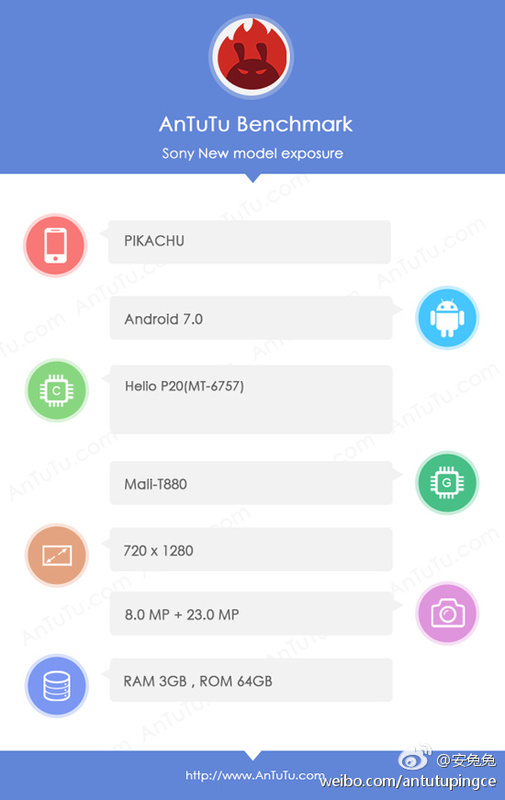 Sony Pikachu with Helio P20 Appears on AnTuTu Benchmark - Playfuldroid! Not too long after Sony new model which goes by the name Pikachu appeared on GFXbench, the smartphone has been listed on AnTuTu. 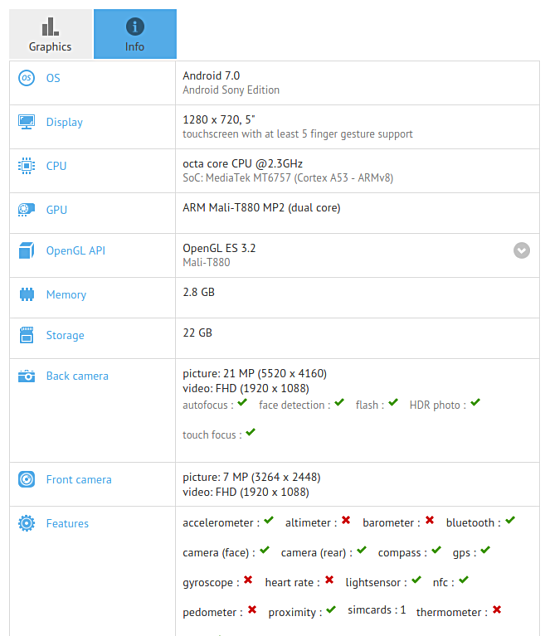 The Sony Pikachu appeared on AnTuTu’s Weibo page giving us a glimpse of its specs. The AnTuTu records looks similar with that of the Geekbench listing. According to AnTuTu, the Sony Pikachu comes with an HD resolution (1280 x 720 pixels), which Geekbench has told us is a 5-inch display. Other specs include a MediaTek Helio P20 (MT6757) chip, Mali-T880 GPU, 3GB of RAM and 64GB of storage. The Pikachu is said to have a 23MP main camera as well as an 8MP front-facing camera which is slightly different from that on GFXbench but it is likely the AnTuTu listed camera specs are more accurate, considering that GFXBench’s data are sometimes inaccurate. The device is said to have pulled up to 60,000 points on benchmark and runs Android 7.0 Nougat. The device was revealed in the GFXbench listing as having just a SIM card slot and would come with NFC.